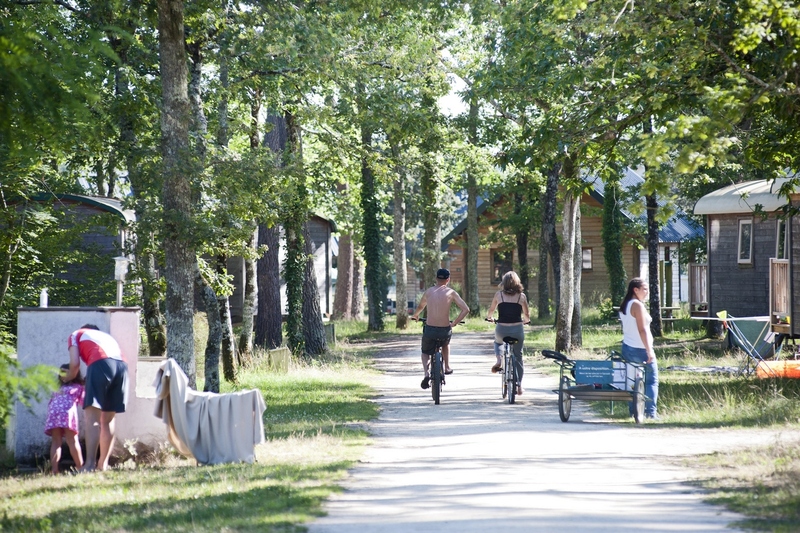 Your stay at Huttopia Rillé will be enhanced with bike rides, visits to local castles and relaxing at the pool. A change of scenery, guaranteed! Catching fish for the first time! 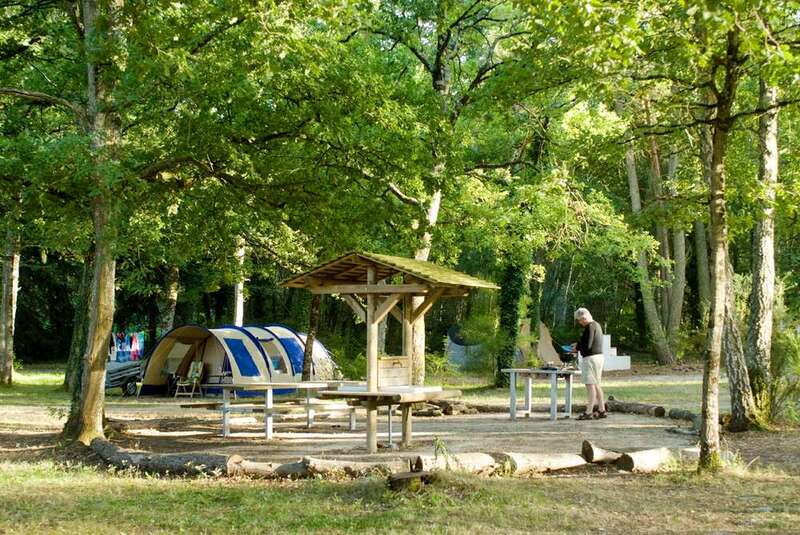 Huttopia Rillé campsite is located in the heart of the Touraine. 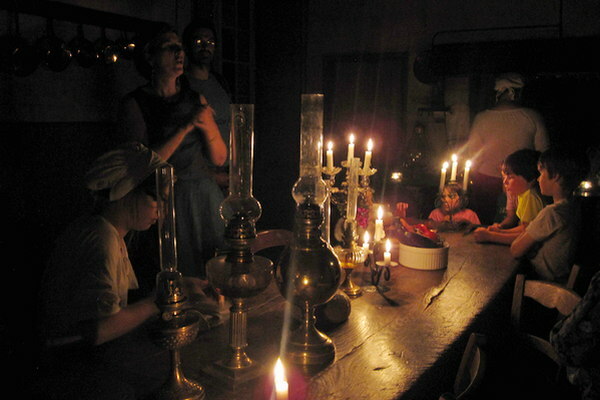 Set out to discover an exceptional cultural heritage. 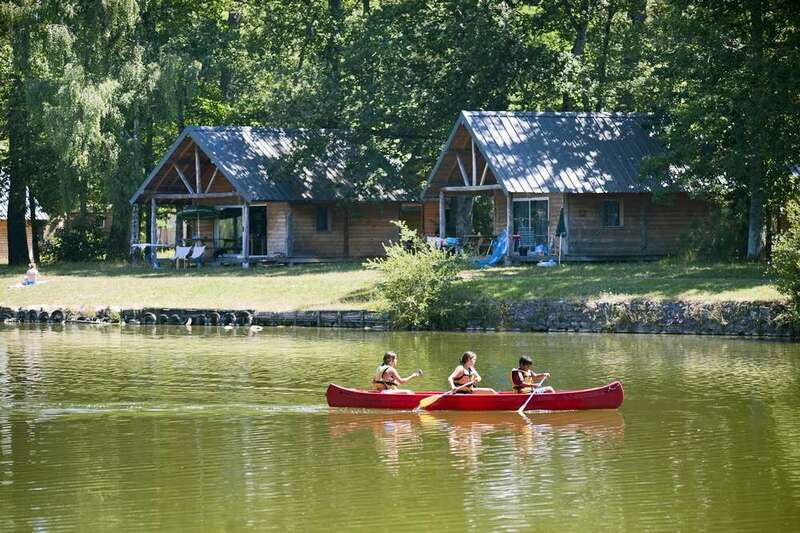 Stay in a haven of greenery and enjoy activities on the lake and the heated swimming pool. 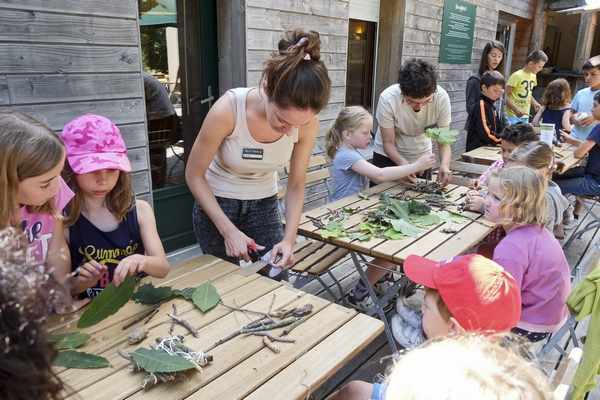 A real «nature and culture» holiday! 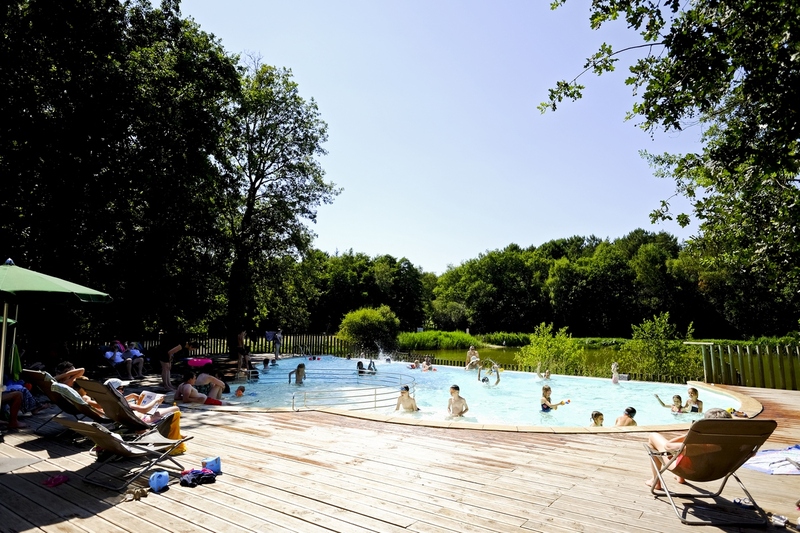 An ideal destination for your weekend breaks or summer holidays with the additional bonus of a beautiful pool and a lake as your natural playground. 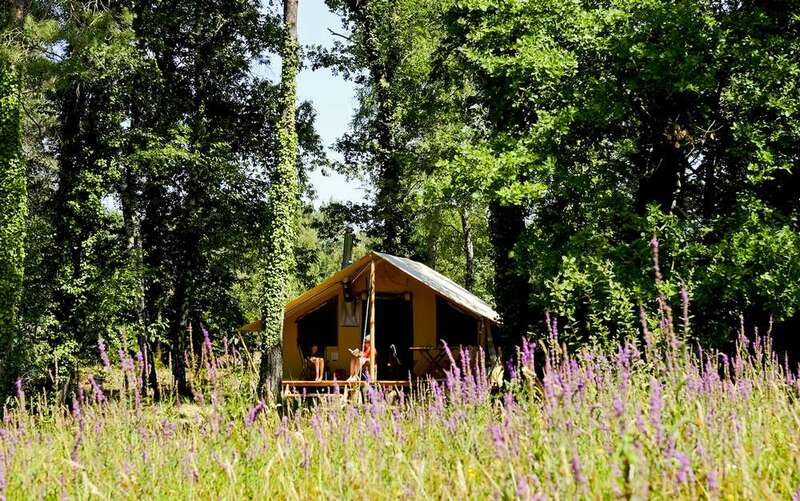 At Huttopia Rillé campsite, a variety of activities await you when you come back from visiting the most beautiful castles in the Loire. 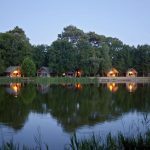 Camp with your own equipment on beautiful pitches in the heart of nature or rent fully equipped accommodation. 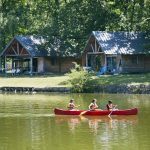 With Wood Cabins, Wood Trailers, Canadian tents, Cahuttes, Trappers or Bonaventure tents… the comfort is there and you have the choice! 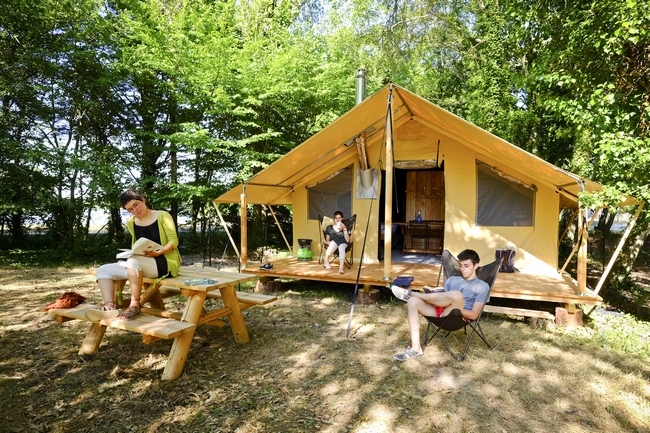 So you can enjoy even greater tranquillity, the campsite is an entirely pedestrian site. 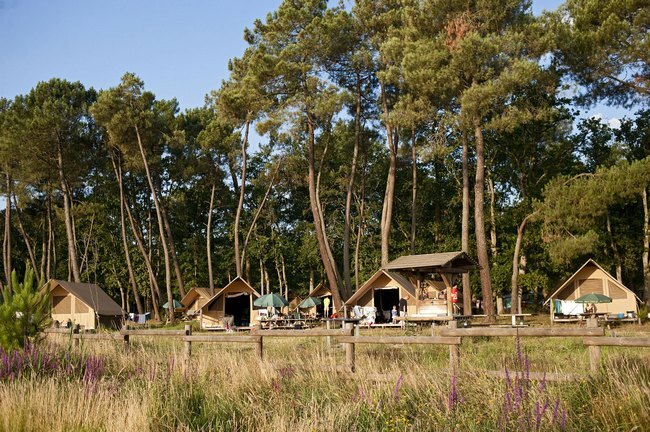 At Huttopia Rillé, the nature and birds are your neighbours! 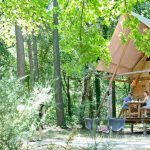 Whether in Wood & Canvas accomodation or in a Wood Cabin, you will appreciate the wooden picnic table for comfortable outdoor meals as a family! 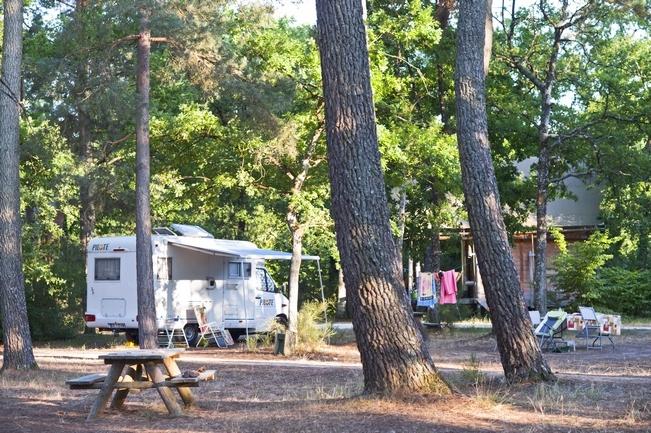 So you can enjoy even greater tranquillity, the campsite is an entirely pedestrian site. 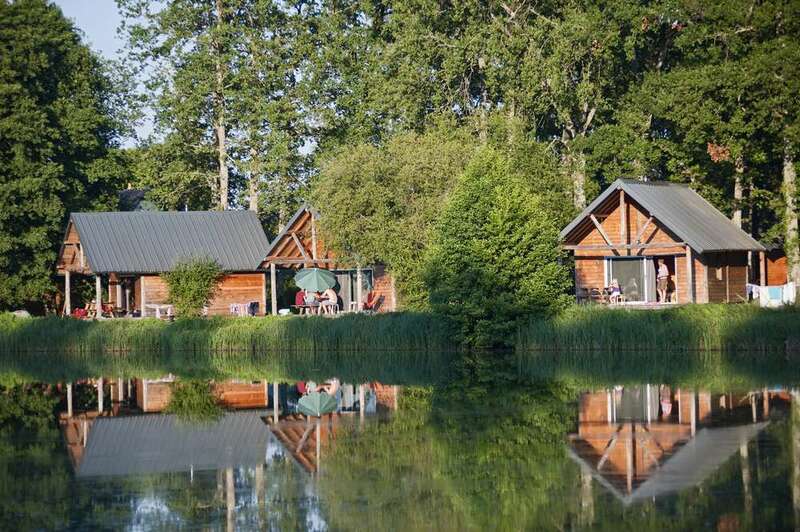 Rental accommodation is not therefore accessible by car. A car park is located at the entrance and trolleys are available for you to transport your luggage. 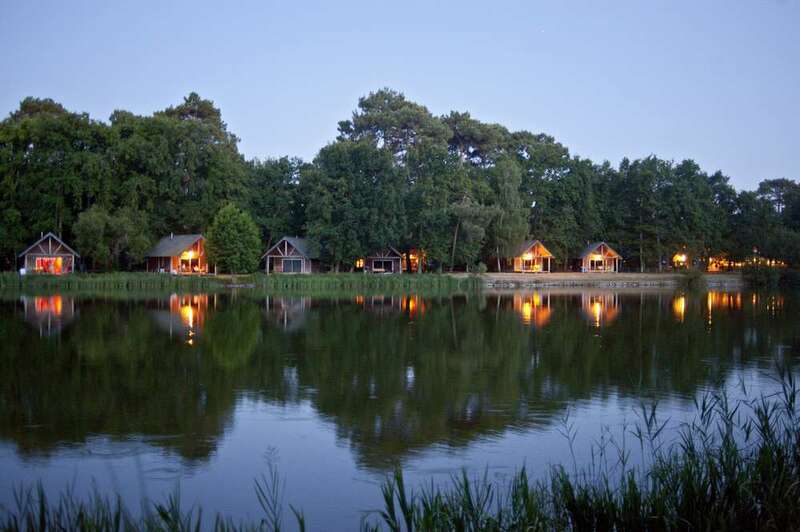 Under the scots pine trees, chestnut trees and lime trees, you will love this haven of nature for your holidays. 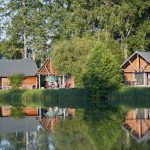 In the Touraine, the Huttopia Rillé campsite invites you onto an 8 hectare site, in the midst of nature, around Lake Rillé. With a range of pitches to suit your needs and equipment ! The campsite is entirely pedestrian. Traffic is therefore restricted and a large car park is available at the entrance of the site. 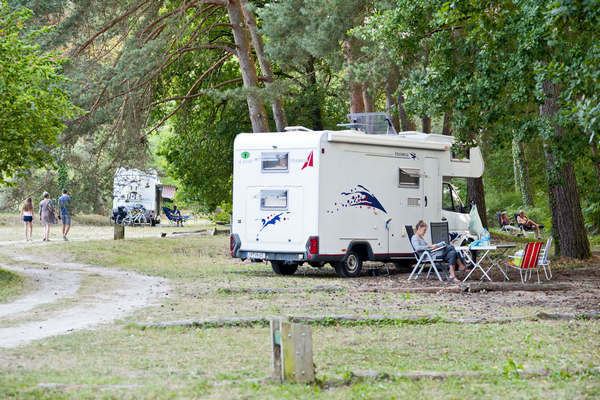 Caravans and motorhomes are offered suitable pitches so as not to disturb the tranquillity of the site. > Trolleys are available for you to transport your luggage. 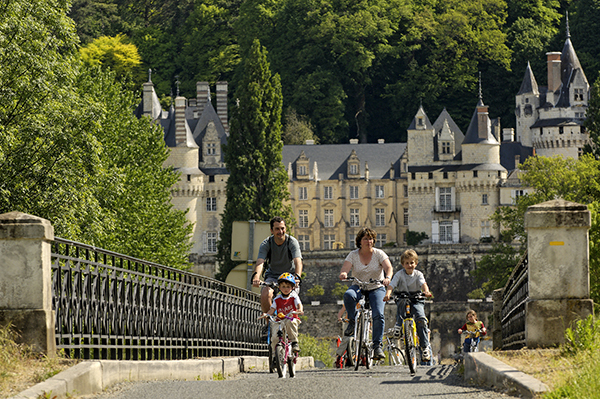 Exploring Touraine on foot or on bike? 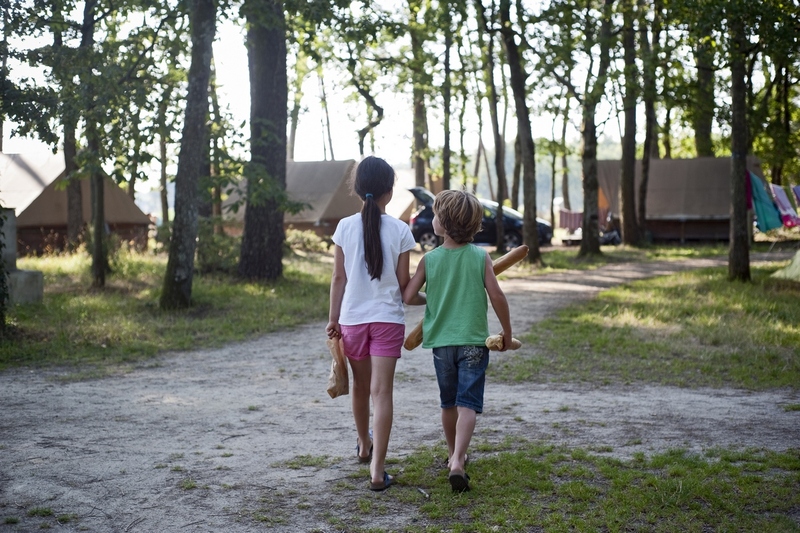 Make a stopover at Huttopia Rillé! 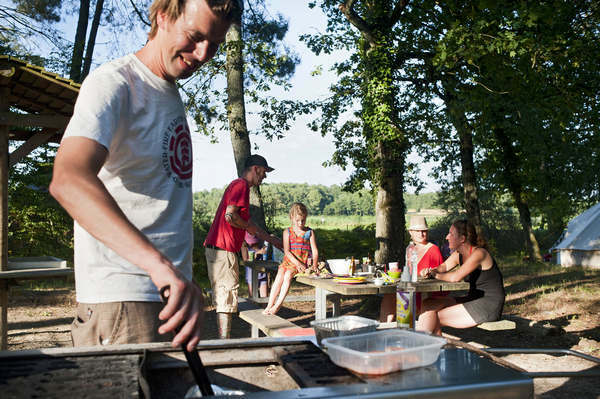 This camp site with “Bike-friendly” status offers preferential “Hiking/Cycling” packages. 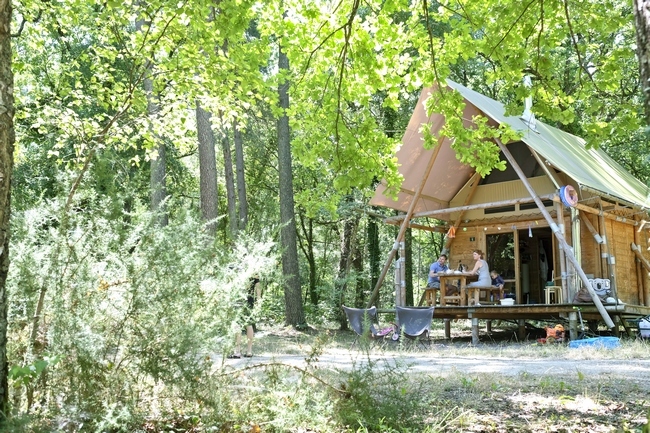 The rate includes a Nature pitch with a small tent and no vehicle. 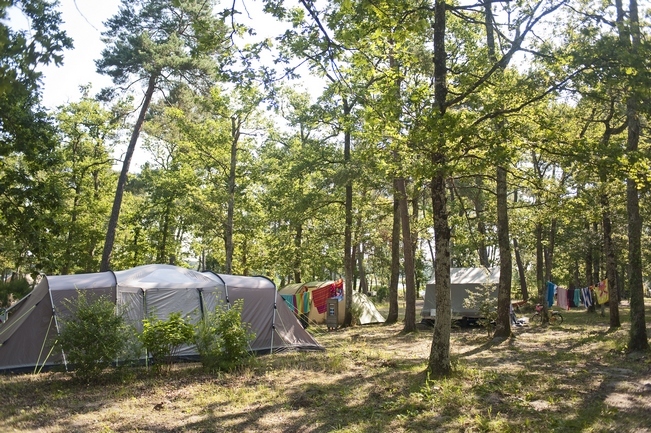 At Huttopia Rillé, you can make the most of our bivouac areas to enjoy a picnic under the shade of the trees. 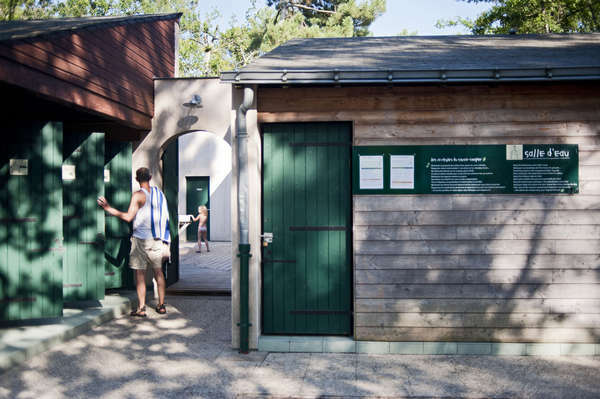 'The light, modern ablution facilities integrate seamlessly into nature. As a family, spacious bathrooms with showers and basins mean you can all stay together in well-designed spaces. 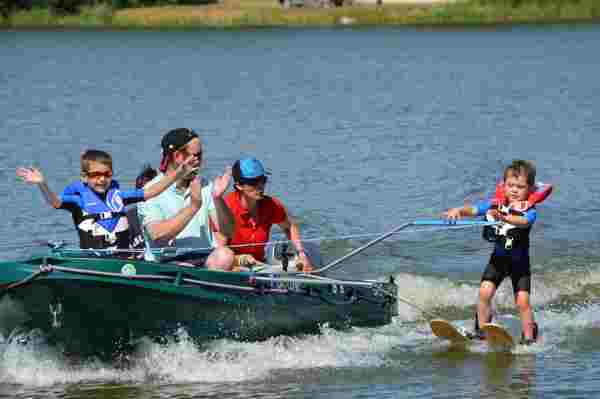 Accessible to persons with limited mobility. 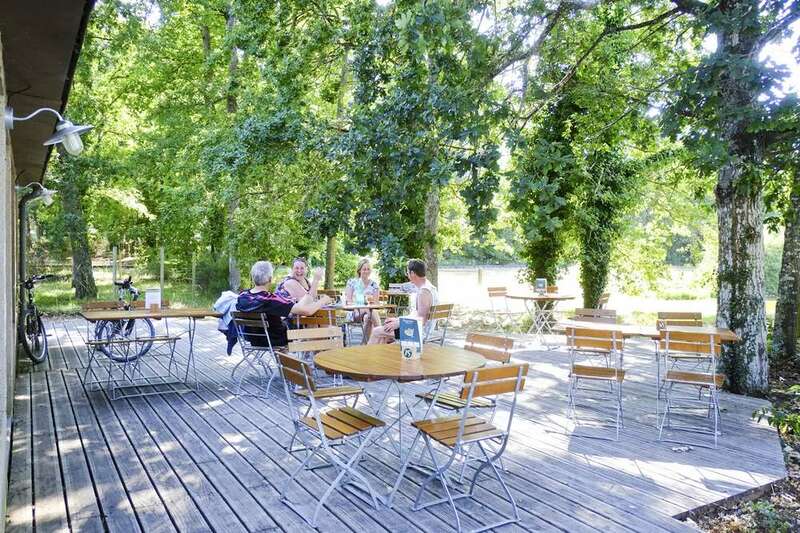 You’ll love our coffee, jam and bread formula on the pretty wooden terrace before setting out to discover the most beautiful castles in the area. 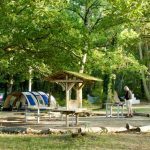 During your stay at Huttopia Rillé campsite, you will be able to enjoy all the Huttopia services to make your stay even easier. 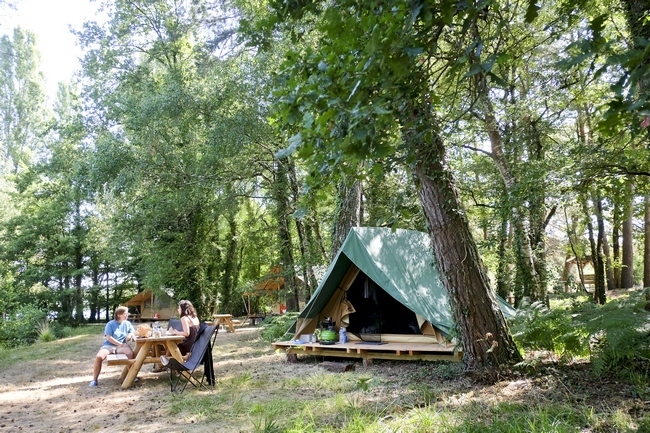 At Huttopia Rillé, enjoy simple and friendly meals during your stay in the Loire Valley. 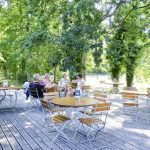 You will be able to enjoy quality time with family or friends around drinks or delicious ice-creams on the terrace throughout the day. A computer is at your disposal for you to check your emails and plan your day trips. 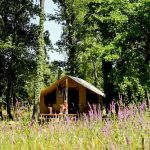 At Huttopia Rillé, you can come and go as you please at the Central Lodge, the real heart of the campsite, which is open all day. 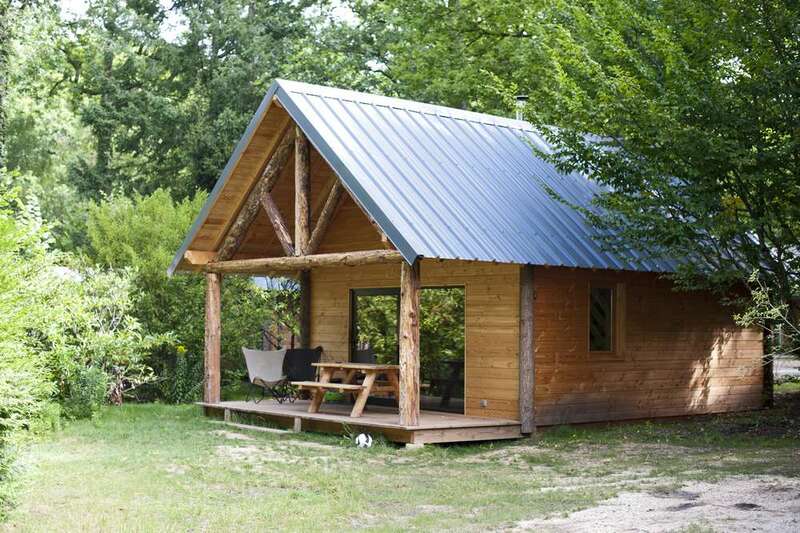 Enjoy the wood stove in the centre of the room, the table football, and the outdoor terrace overlooking the heated pool and Lake Rillé. 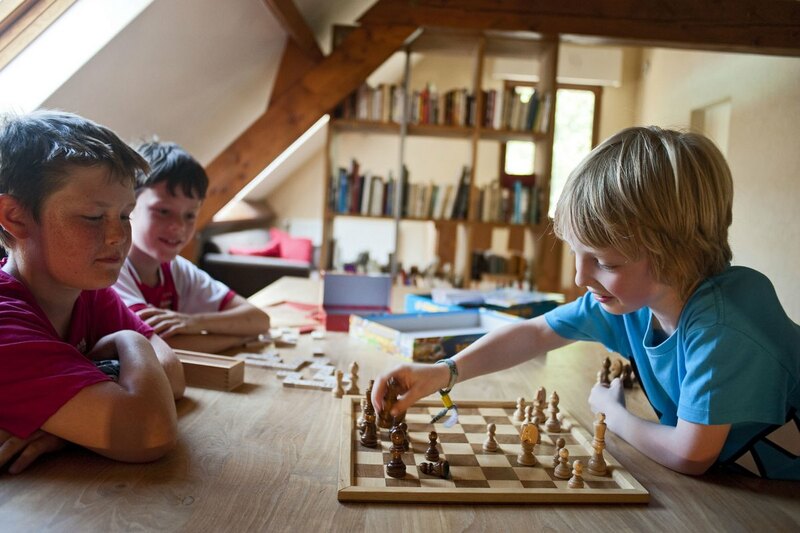 Upstairs: with board games, books for you to read, and a television area, there is something for everyone. 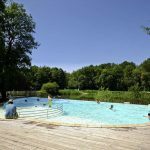 The heated swimming pool with sun-loungers and parasols is ideally situated between the terrace and the lake, and toddlers can splash about in the paddling pool. 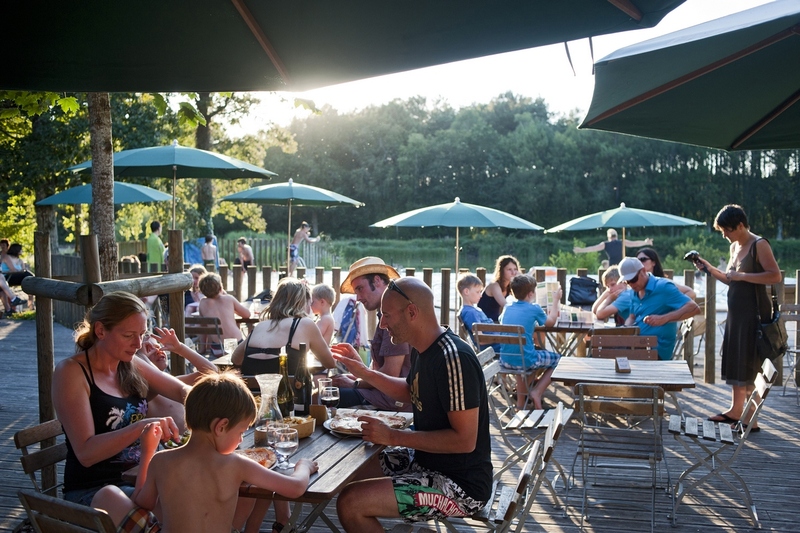 Located in Lake Rillé recreational park, you can hire a pedalo or a canoe directly at the campsite reception. 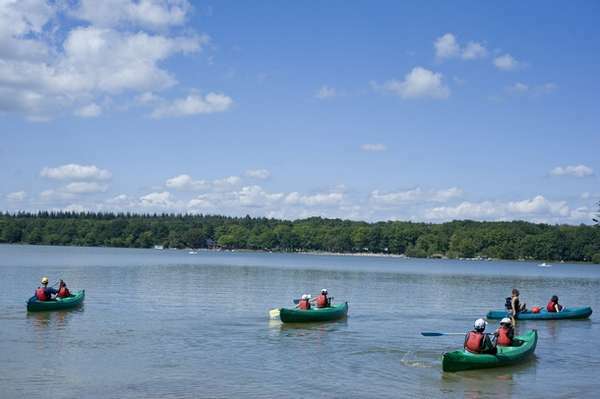 Try out water skiing or go on a treetop adventure on a site in the midst of nature. 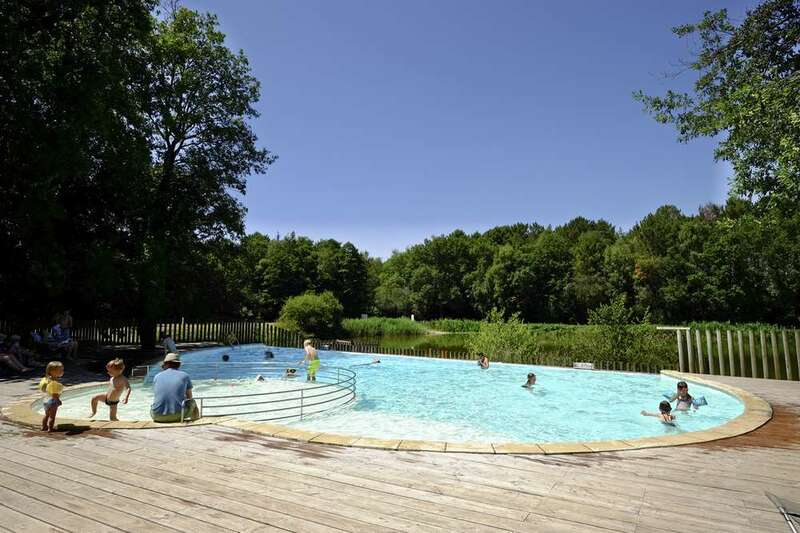 From active holidays to cultural holidays, Huttopia Rillé has selected the best partners in the region, for you to enjoy quality activities for free or at the best prices! 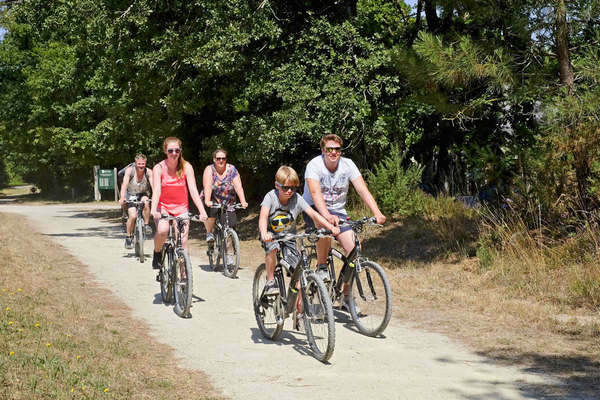 Enjoy true freedom at Huttopia Rillé, with our brand new electric bikes, available for hire (half or full day) all season. 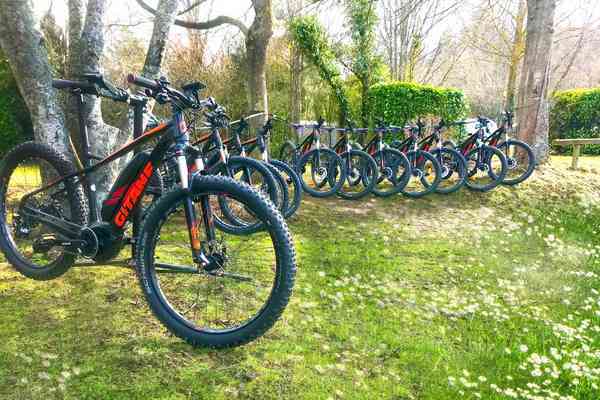 For invigorating bike rides in the great outdoors, there is a model to suit everyone! And for cycling purists, our traditional bikes are still available for hire too. 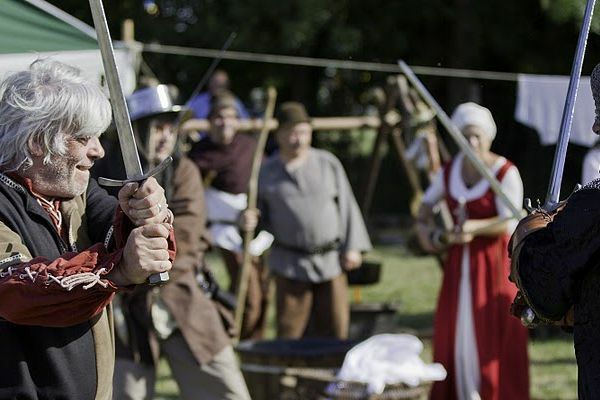 FREE - Every Thursday afternoon, come along as a family to step into the shoes of a troubadour... On the programme, archery, sword fighting, wooden games, and medieval food and drink, for a real leap back in time! 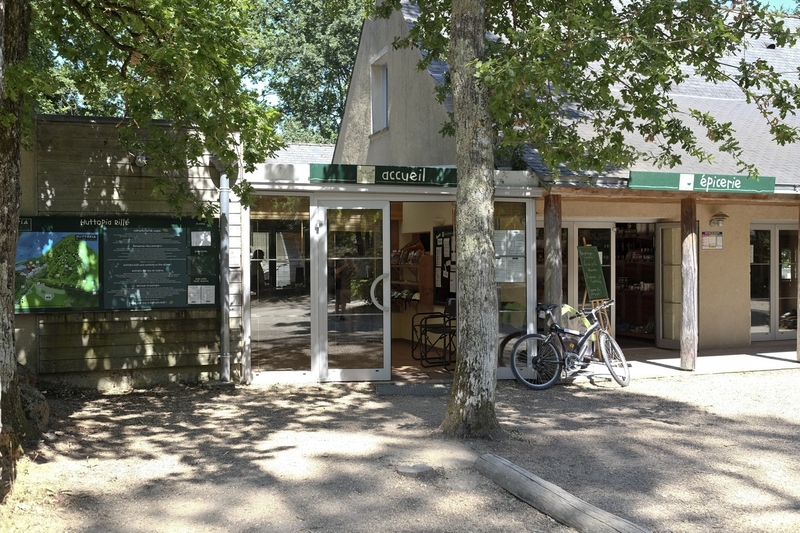 FREE - Discover the vineyards and wine cellars of the neighbouring winegrowers, Nathalie and Davide Drussé, who will share their passion with you and show you the secrets of wine growing. 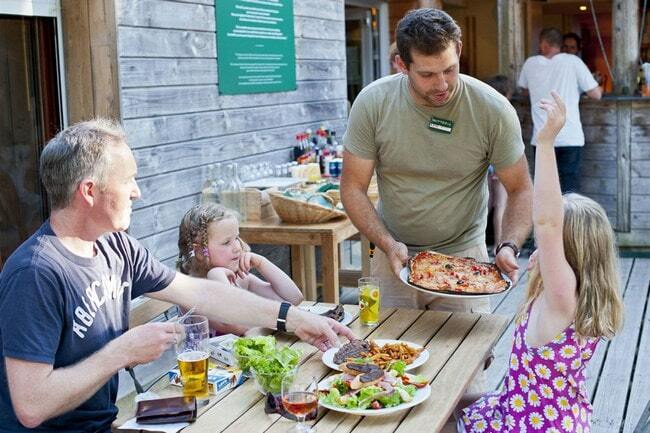 Grown ups will be able to enjoy a wine-tasting at the end! 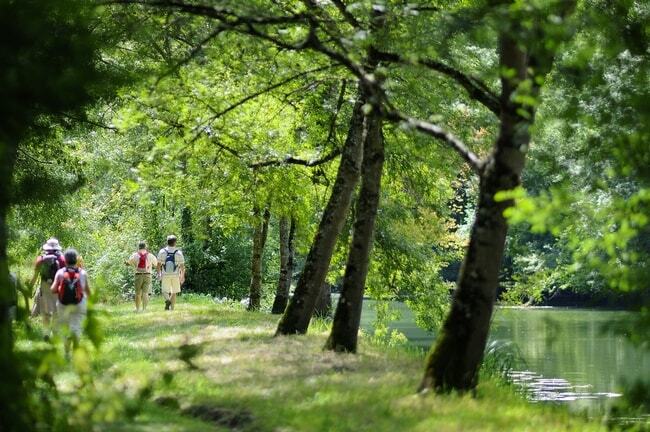 FREE - On Wednesday evenings, Denis and Maurane will take you on a guided walk to discover the diverse local fauna and flora, or the cultural, artisanal, and gastronomic heritage of the Touraine! 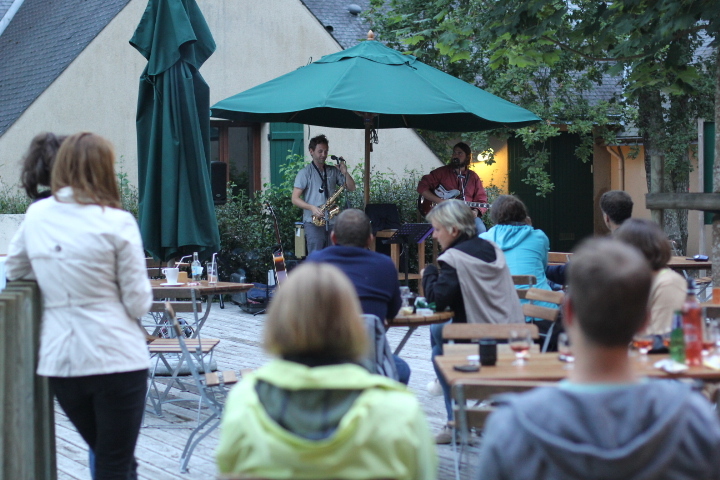 Let yourself be swept away by the festive atmosphere of the evening concerts on the restaurant terrace at Huttopia Rillé in the evenings. Do you prefer Gypsy Jazz?  Jazz Rock? Soul or World Music? There is something for everyone! 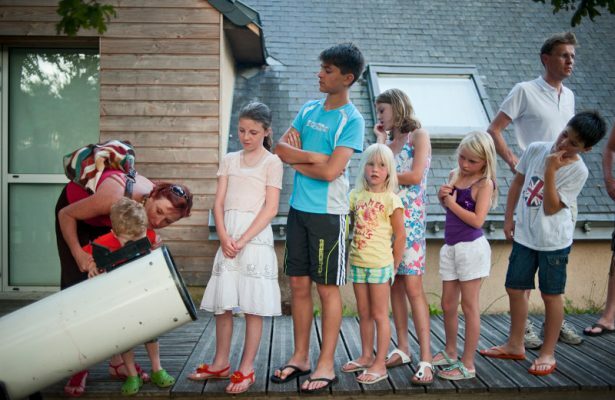 Film nights, astronomy sessions, visiting Gizeux castle by candlelight… In the evenings, there is endless family entertainment for you to enjoy at Huttopia Rillé! 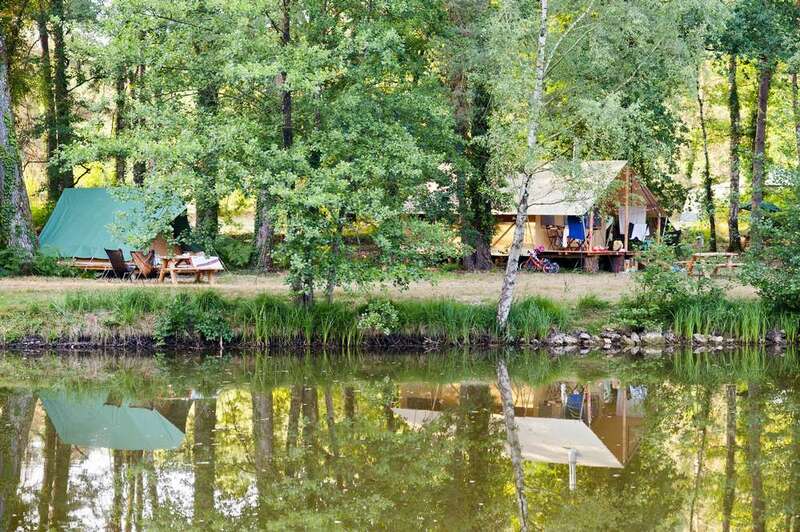 On the shores of the lake, Huttopia Rillé invites you to unwind and enjoy outdoor activities. 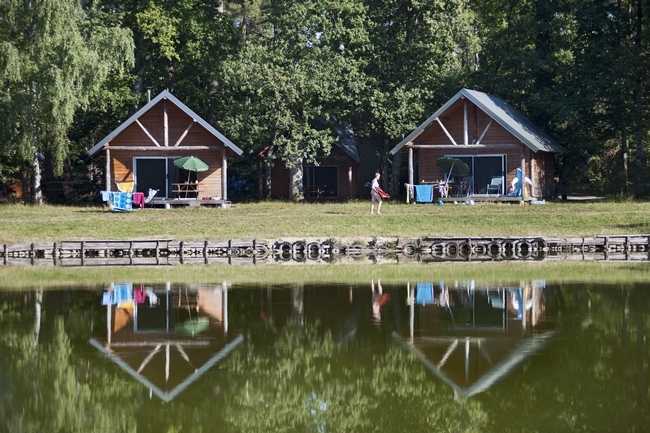 > Make the most of the campsite’s watersports centre to enjoy unique moments canoeing or pedaloeing (available for hire). 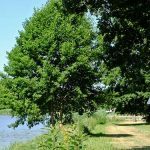 > Lake Rillé is an exceptional ornithological reserve (250 observed species) and the Bird Protection League (L.P.O.) 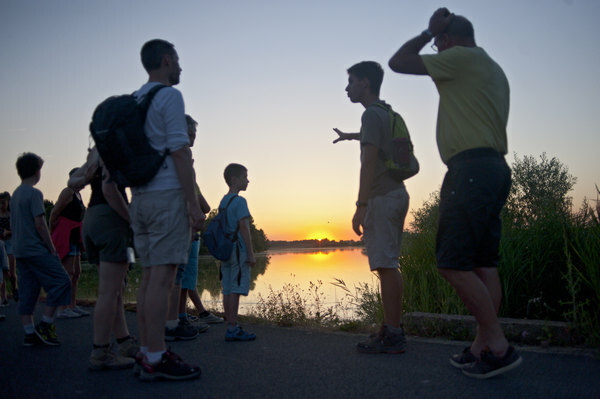 organizes bird spotting trips around the lake in July and August. 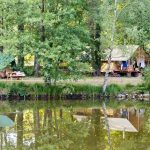 > Finally, discover the charm of yesteryear with a trip aboard the Rillé steam train, which winds around the lake and campsite, offering an unusual glimpse into the last century in the midst of nature! 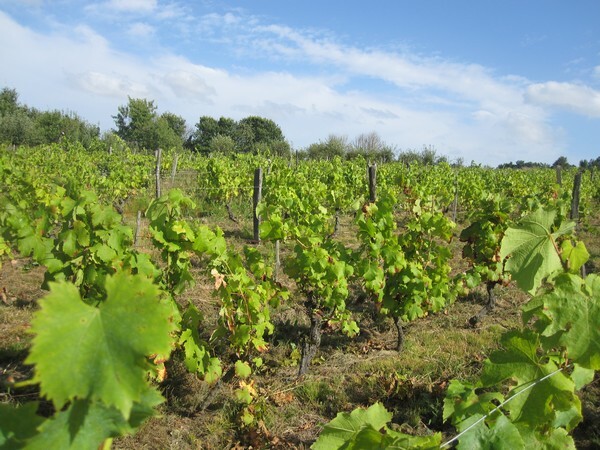 The Loire Valley is one of the great French wine regions, with Bourgueil, Touraine, and Chinon wines… To help you discover these wines, the Wine Route takes you through the vineyards along the Loire to discover the landscapes and the wine growers. 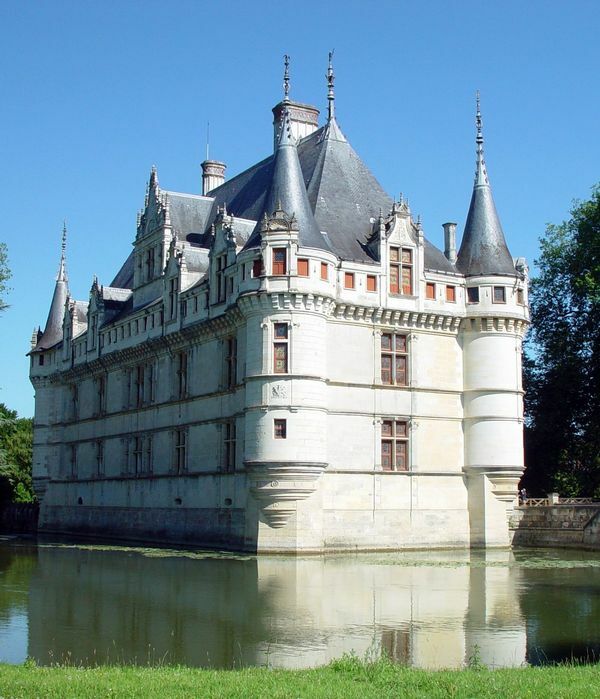 Amboise, Azay-le-Rideau, Chenonceau, Villandry and its gardens, the Clos Lucé with the Léonard de Vinci Park, Chinon, Langeais, Loches, Ussé, Champchevier, Enjoy the architecture and gardens of these monuments. ** The Biker/pedestrian packages are available from 12/04 to 18/07 and from 25/08 to 28/09. Would you prefer not to clean your rental accommodation yourself when you leave? Would you like your beds to be made on arrival? Your fridge doesn’t fit in your car? Remember to book these services at the same time as your stay. 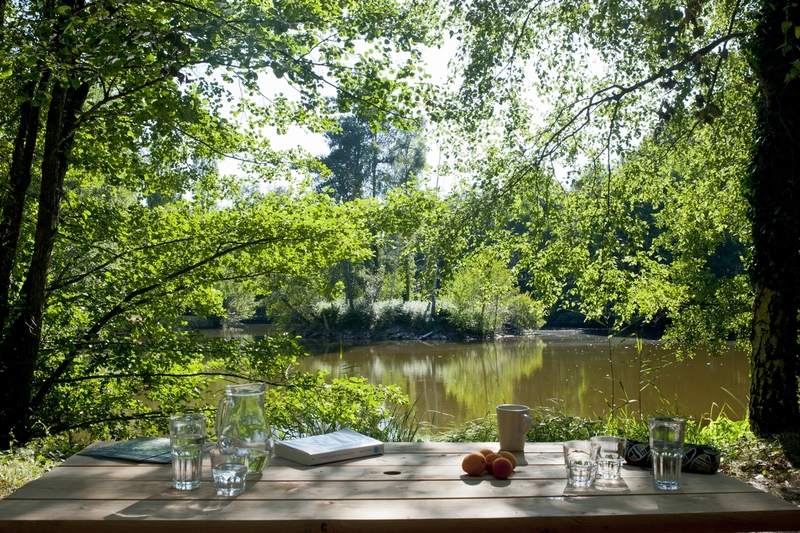 Idyllic, Restful. Varied and soul affirming. 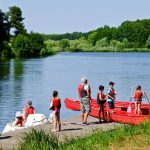 Brilliant atmosphere created by the quality of the accommodation, the location and the number of sensible activities for children and their parents. Added to this was the skill, professionalism and friendliness of the staff. First class.